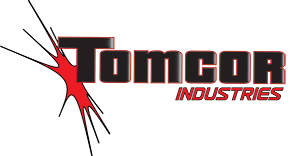 Tomcor is your full-service powder paint expert providing appliance grade and industrial grade finishing. Located in Wausau Wisconsin, we leverage our industry experience to provide you with the highest quality finishes, delivered on time at the most competitive prices around. No other facility in Central Wisconsin provides appliance grade finishes. And no one else in the industry has our Clean-Cor™ pretreatment, delivering exceptional quality through and through. Put our superior powder coating system to work for your parts and get the quality you demand.